Dr. Terri Washington | Diabetes, Osteoporosis, Obesity, Inc.
Home Our EndocrinologistsTerri Washington, M.D., F.A.C.E. 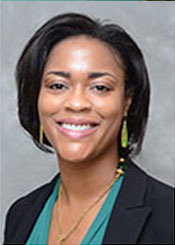 Associate Physician of Diabetes, Osteoporosis, Obesity, Inc.
Dr. Terri Washington is a board certified endocrinologist. She completed her training in internal medicine and specialty training in endocrinology at the University of Illinois Chicago. She graduated from Loyola University Stritch School of Medicine. She treats a wide variety of endocrine/hormone related illnesses with a particular focus on diabetes, thyroid disease and endocrine diseases in women.